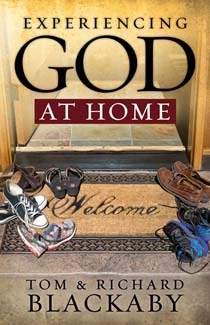 Experiencing God at Home takes a fresh path back into the rich roots of Henry Blackaby’s world-renowned Experiencing God writings to connect what happens in our homes to what happens in our churches. Here, his sons Tom and Richard Blackaby first establish the biblical case for the idea of experiencing God at home, illuminating how the clear foundation for God’s work in nations and churches around the world is his work in families. Indeed, healthy families lead to healthy churches, and the Blackabys illustrate that through real-life stories of families that have found ways to experience God in marriage, in choosing life’s direction, in rescuing broken relationships, in forgiveness, in the salvation of loved ones, etc. Lessons from the Bible support these moving accounts, and the book concludes with resources that will guide individuals families as well as entire churches toward practically experiencing God at home.